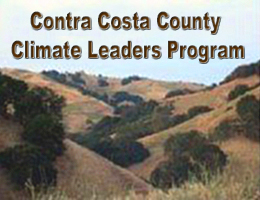 Please join us for Contra Costa County Climate Leader’s (4CL) next workshop on March 8 from 8am to noon. The topic will be “Solar Energy In Cities: Increasing Rooftop Saturation.” The workshop will be hosted in Martinez at 30 Muir Road in the ZA Room. You can view the Workshop Agenda here: 2018 Solar Workshop Agenda Please RSVP to info@cccclimateleaders.org. Please join us for our upcoming Transportation Workshop on August 30th. ‘Transportation Workshop: Transforming the transportation sector in your city!’ on Wednesday, August 30th from 8- Noon at the El Cerrito City Hall, 10890 San Pablo Ave, El Cerrito Hosted by the City of El Cerrito Download the draft agenda here. Local governments know the importance of municipal GHG inventories but what about community GHG inventories? These include GHG emissions produced from businesses which is often the highest within a city. The East Bay Energy Watch hosts a variety of energy saving programs for businesses and local governments to save money and reduce GHG emissions. Check out programs providing free technical assistance, instant rebates, and more here! Be sure to also check out our GHG Fact Sheet to understand the importance of GHG inventories and Climate Action Planning. The Global Warming Solutions Act or Assembly Bill 32 (AB 32) is a comprehensive plan to reduce greenhouse gasses (GHG) that was passed by the state of California in 2006. AB 32 aims to improve the environment while still maintaining a prosperous economy. In response to this bill Contra Costa County Climate Leaders (4CL) partnered with ICLEI and the San Francisco Foundation in 2007 to educate City staff and Council on best practices for benchmarking and tracking GHG emissions. Community-wide Greenhouse Gas Inventories were created for 17 of the 19 cities in Contra Costa. For more information, download the GHG Factsheet here. Join us on May 11 from 8am – noon in San Pablo for our next workshop! This event focus on the impacts of droughts and floods to local governments and how cities can build resilience to these events. We’ll have speakers from the State of California, water agencies, ABAG and local cities – all sharing ways for cities to develop water resiliency! What: 4CL’s “City Planning in a Changing Water World” When: Wednesday, May 11 Where: Davis Park Senior Center, 1661 Folsom Ave, San Pablo Who: RSVP to info@cccclimateleaders.org or 925-631-0597. Where does your city rank when it comes to EV charging stations, Green Businesses, and Walkability? Check out our scorecards ranking each city in the County here! Our latest scorecard examine how cities stack up on the topic of Open Space Preservation. Learn more about 4CL’s origins and updates on our mission by reading the article here. ‘Cities Racing to Zero Waste’ featured legislative updates, city case studies and more! More than 40 local government leaders were in attendance. You can find the materials now posted here. If you missed our last workshop or just want a refresher, the materials are posted on our Waste Diversion Workshop page. Check out presentations and helpful resources on how YOUR city can reach zero waste! 4CL Wins “Leadership in Sustainable Communities” Award! On September 23, 4CL received high honors at the 7th Annual Contra Costa Leadership in Sustainability & Green Building Awards Gala. 4CL received the “Leadership in Sustainable Communities” award for its work in sharing best practices with the local government staff of Contra Costa County on progressive climate action planning and GHG reduction strategies. This past October, 4CL was a nominee in the Seeds of Change competition hosted by Sustainable Contra Costa and won the People’s Choice Award! Check out the write-up the Contra Costa Times did on the subject here! The materials and presentations from our PACE Residential and Commercial Energy Financing workshop are now available! Check out presentations from Renewable Funding, HERO, and Figtree Financing as well as best practices from local governments. Small update to the site coming soon. Four cities in CCC Ban Plastic Bags. Four cities in CCC have a Plastic Bag Ban Ordinance in place (Pittsburg, Richmond, El Cerrito and San Pablo), with more moving forward on the issue (Martinez and Walnut Creek). Get more information. If you missed our Drought Resilience Workshop for local governments…. the Powerpoint presentations, along with materials and important related resources are now posted: http://www.cccclimateleaders.org/workshops/drought-resilience.html. These materials make great resources for Climate Action Planning (CAP). Please let us know what topic you’d like to see for our next workshop! 4CL is excited to announce our new blog! We are excited to join the blogosphere. 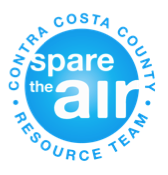 Join in on our discussion as we share current news, Upcoming events , and share information about how cities can work together to reduce greenhouse gas emissions and create a more sustainable Contra Costa County! Stay tuned …..